The mission of the Mineral County Development Authority is to enhance the welfare of all Mineral County citizens. 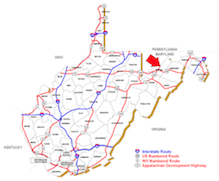 For businesses and industries looking to expand or to relocate in Mineral County, West Virginia. The Mineral County Development Authority, is a convenient, reliable resource for the information you need. We are here to help and to make transitionsitioning easier, and have the knowledge to assist and inform you. The resources offered on this site include direct links to a county profile, available business incentives, photographs and details of industrial sites, parks, and buildings, and other helpful links. If you need more information, please contact us and we will do our best to provide you with what you need. 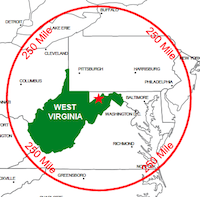 Mineral County, West Virginia is located in the Eastern Panhandle of WV, and just a short drive to our neighboring states of MD, PA, and Northern VA, as seen below. 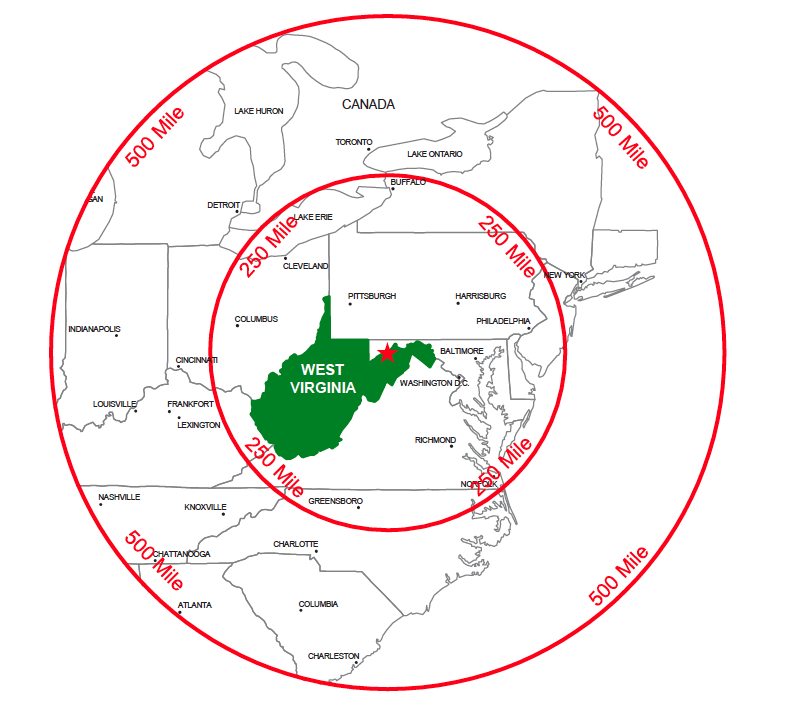 West Virginia, and Mineral County makes it a priority to meet the needs of our business partners. To help, the state provides development assistance in the form of tax credits, financing programs and workforce training programs. 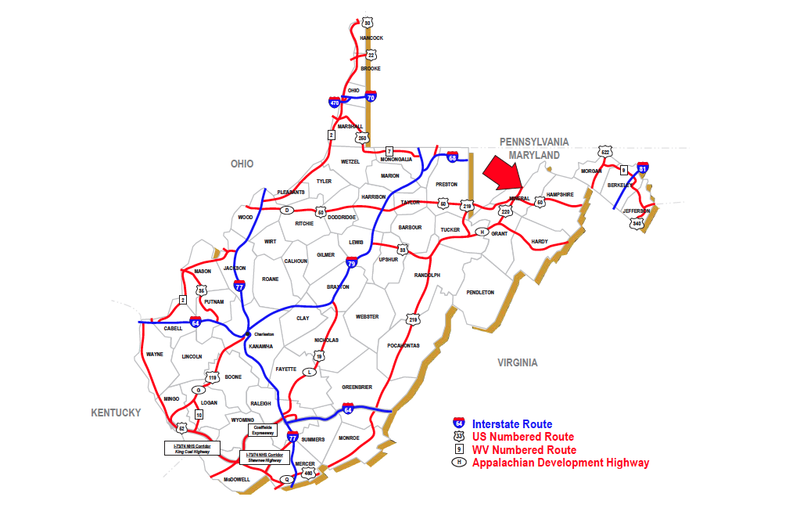 This support can reduce startup and operating costs and provide for enhanced productivity that will allow your business to grow and prosper in West Virginia, and in Mineral County. Companies that relocate their corporate headquarters to Mineral County, West Virginia are eligible for tax credits if 15 new jobs (including relocated employees) are created within the first year. The credit can offset up to 100 percent of the tax liability for business and occupation tax, corporate net income tax, and personal income tax on certain pass through income, for a period of up to 13 years. For qualified companies that create at least 20 new jobs within specified time limits (10 jobs in the case of qualified small businesses) as a result of their business expansion projects, the State's Economic Opportunity Tax Credit can offset up to 80 percent of the corporate net income tax and personal income tax (on flow through income only) attributable to qualified investment. If a qualified company that creates the requisite number of jobs pays an annual median wage higher than the statewide average non-farm payroll wage, then the qualified company can offset up to 100 percent of the corporate net income tax and personal income tax (on flow through income only) attributable to qualified investment. Businesses that manufacture certain computers and peripheral equipment, electronic components or semi-conductors and which create at least 20 new jobs within one year after placement of qualified investment into service, can receive a tax credit to offset 100 percent of the business and occupation tax, corporate net income tax, and personal income tax on certain pass through income for 20 consecutive years.